Boat Covers - This Blue Sea Boat Cover has been specially engineered to withstand the rigors of boat trailering and highway travel. Featuring an integrated buckle and strap system for easy fitting and trailering, this boat cover's adjustable straps simply snap into the quick-release buckles on the cover. A tension panel system holds the cover tight and distributes stress created by high winds and high way speeds. Constructed from rugged Blue Sea Marine Canvas, this high-quality boat cover's fabric won't stretch or shrink and is treated with an advanced fabric coating that resists dirt and stains while providing water resistance and repellency. 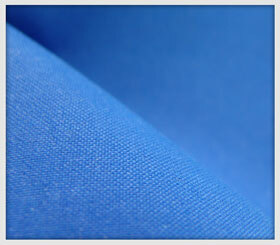 The Blue Sea Boat Cover is also resistant to mildew and UV damage. Full cut to allow extra room for accessories such as bow rails and running lights.